Today I am feeling lonely and when you are alone away from your family feelings of loneliness doesn’t even allow you to be at peace with yourself. I seek help with loneliness on internet because I am all alone today and struggling to overcome loneliness. I have this bad habit of getting into depression whenever I am suffering from loneliness. In tough times to whom you can look up to with a sense of hope and expectations that things will be fine? I am sure majority of the people will say GOD. God help us please – that’s something which all of us have said to themselves when the going gets tough. Sometimes, JUST NOTHING seems to work out – everywhere you see a roadblock.. how to get over these tough times like these? Whenever I go out and look around .. I watch people and wonder is he/she satisfied with his life? Is he/she content with the way their life has shaped? Most probably, the answer will be a big NO. 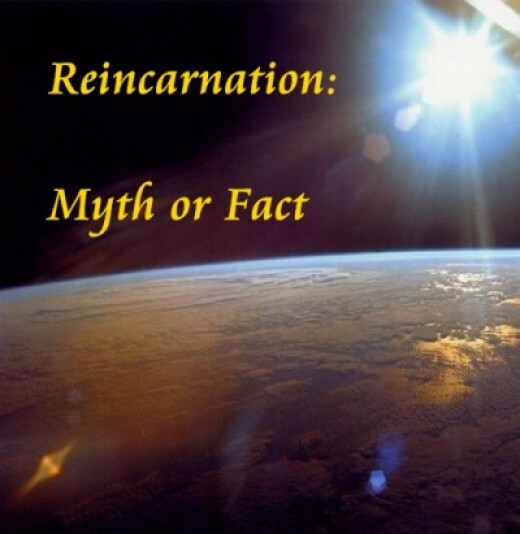 Reincarnation – Is It A Religious or A Psychological Belief Or Just A Myth? Life After Death Do You Believe In Reincarnation? I Don’t!. REINCARNATION has always been an ancient belief, but is there any proof to justify the phenomena of Reincarnation. We all have heard Reincarnation Stories, but the million dollar question is what’s the authenticity of reincarnation stories and how many of us have a strong belief on it. There are many doubtful questions against reincarnation. What’s the evidence to prove reincarnation, the process of how an individual travels from one body to another body? Needless to say, these are one of the main constraints in recognizing the evidence on how reincarnation takes place. Do all people reincarnate? I guess No! Because majority of us don’t go through the process of witnessing our past lives memories. I Don’t! So the point is that how and why some people reincarnate and others don’t. I have read and heard many stories where an individual counter his/her past incidents. But honestly speaking I can’t relate to it. Research suggests that, an individual is reborn if he/she died at an early age or those who went through violent death. I guess it’s just a result of “selective thinking” where an individual goes through a psychological experience based on their beliefs, life experiences and fears in their mind. On the other hand it’s related to karma also. What is Karma? Karma can be defined as the law of action and reaction. In more simple terms it’s the kind of deed you commit, based on that you will get the kind of life in the next birth. The soul goes through a continuous process of being born and later dying. So does that imply that if an individual go through tough circumstances then does that mean the person deserves it because in the past he/she committed bad deeds? It’s the way god make each of us suffer based on our previous life deeds. Let me get this straight! If a poor ill person begs and going through unbearable pain then is it because god is making him suffer. So are we not supposed to obstruct god’s way of punishing them, by helping them? If a person is dying on the road, bleeding to death, are we not supposed to come forward to help him/her? But in a way I Like the concept of “Karma” At least this way people will not hurt other people because of fear of being punished in the next birth. Last night I was coming back from my office on a metro. I noticed one old lady in the other compartment, she was selling band – aids. Then I spotted some young crowd laughing and sharing some jokes. The old lady approached the group but startlingly not even a single person from that group even bothered to pay attention to that old lady. I felt like blindfolding every single person from the group and beating them with iron rods. Each one of them looked from a decent family and if they had bought one small packet of band-aid that wouldn’t have made a difference to them. But they didn’t. MEAN BASTARDS. It’s heartbreaking to notice people who spend lot of money in hanging out at expensive places, buying branded clothes and not even thinking twice before spending money on themselves. But when it comes to spending “few pennies” on needy people they hesitate. It’s completely ridiculous. The lady looked so fragile and tired… when you are of that age it becomes hard to even walk but the old lady made an initiative to buy her own living. She could have just begged but I guess she is the woman who has strong self esteem which is quite admirable. So coming back to the whole incident, the old lady was quite far away from me and then the train stopped. I had to get down on my station, and luckily the woman also got down on the same station. While stepping down at the platform I went to that lady and gave the money “as if I want to buy the band – aidz” She took out the band – aid and offered me. But I said no it’s alright, I kept the band – aid back into her bag.